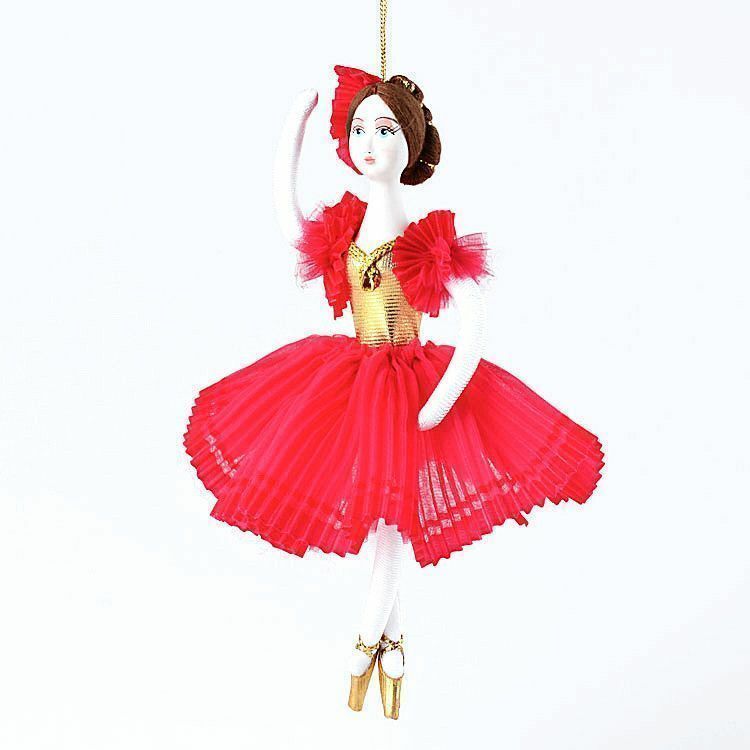 This beautiful ballerina ornament is not just for the Christmas tree! 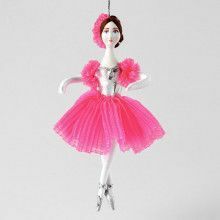 She looks good hung just about anywhere, and she is quite a bit of fun because you can put her in any position or pose with her bendable arms and legs! The head and bust is made out of porcelain and hand painted. 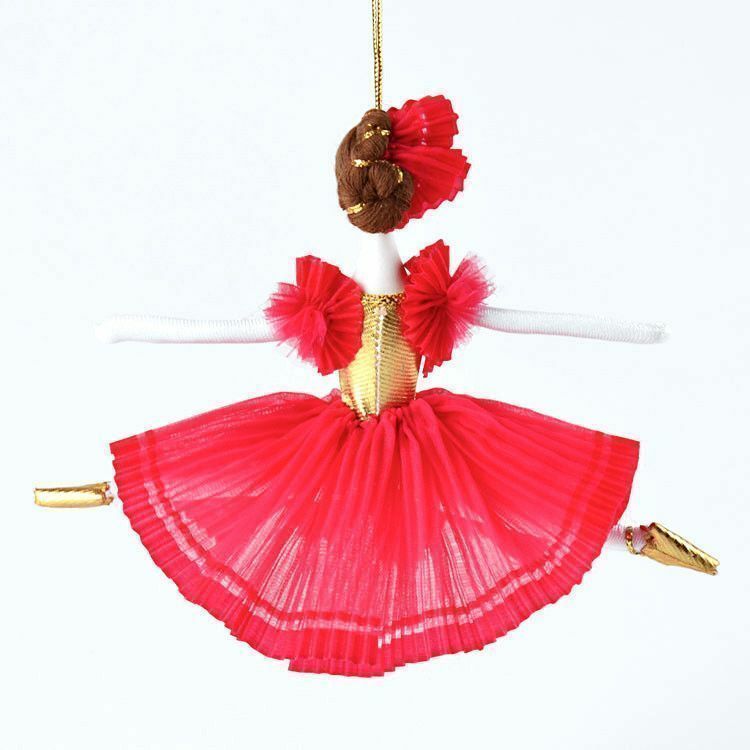 The vibrant red tutu dress is accented with a gold bodysuit and gold ballet shoes. 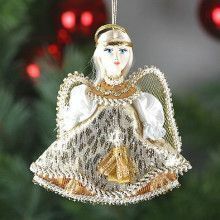 This 6" tall and about 1" wide doll was imported from Russian artisans.